I have to admit that the first effort is pretty satisfying. There are two interesting comic book stories. 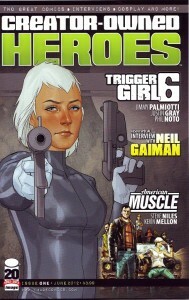 The first one is called Triggergirl 6 and its about an assassin who looks to have been birthed in a vat. She’s a killing machine who we later learn can spit up acid so maybe you don’t want to sleep with her. 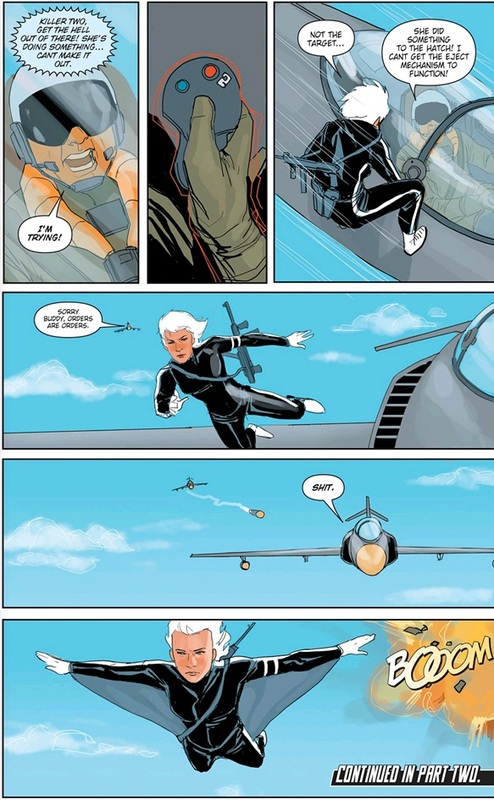 Here’s a page of Phil Noto’s stunning art and the stunning coloring, which I’m convinced has gotten better with computers. Coloring was very rarely this good back in the 80s unless there was some kind of special fancy print run. Or unless you were reading Heavy Metal. She’s very attractive. Its a technically well done science fiction story. I wanted to read more. Phil Noto also uses a real model which makes me jealous of the kind life the artist lives. 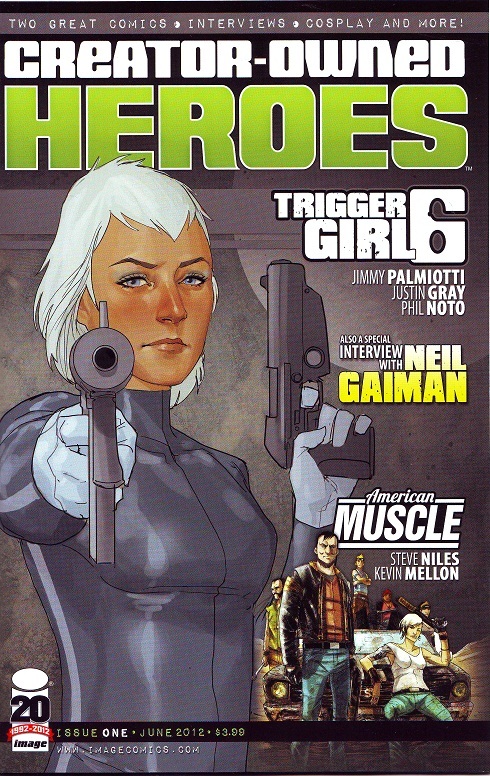 There’s an interview with the twin sisters who designed and model and the costume for Triggergirl 6. Here’s another pic. You know my fantasies aren’t this good. Here’s their website: www.twin-bee.net. The other story would seem to be yet another end of the world zombie story so it’s not exactly new material but it does seem to be well executed and well told which is all you can ask for. I wanted to read more about this story as well. The interviews feature the legendary Neil Gaiman, those completely unrealistic hot women who model their skintight black leather outfits and other essays and observations. Definitely a pretty good read. 4 out of 5 stars. Worth picking up.